Choose one of the 1 escape rooms available in and around Ruston! Escape rooms are perfect for any occasion: a night out with friends, a date, a birthday celebration or a team-building activity. Search for clues, solve puzzles and work together to uncover the mystery – it’s time you escaped the room! 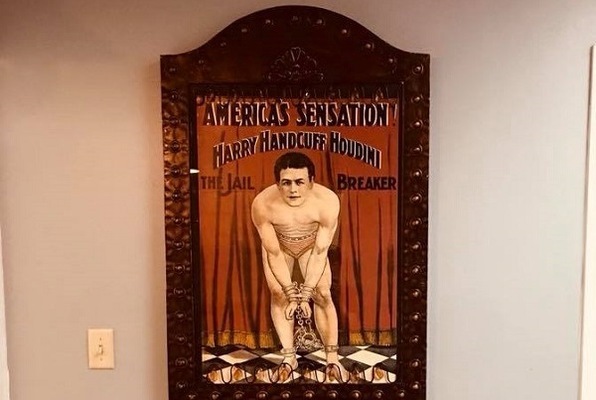 You and your team will have 60 minutes to uncover the mysteries of Harry Houdini and escape his traps. We had a great time! Go do this if your in the area. Wonderful people and awesome mysteries in the room that challenge you. I can't wait for the new room to get here! We have done escape rooms all over the country and little Ruston's 1-20 escape was the BEST room we have ever done!! We will be coming back when their next room is open! That was a phenomenal experience! It was my first escape room and I will definitely be going back! I had so much fun! You guys were awesome! Thanks so much.